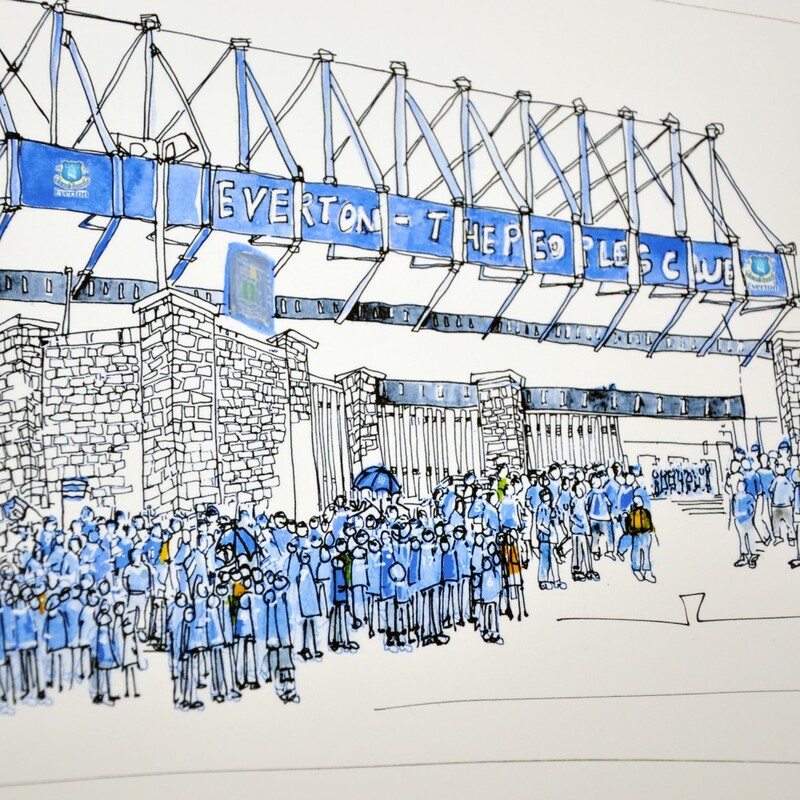 After a big season for both Everton and Liverpool, we think now is the perfect time to invest in some unique football themed artwork to commemorate the last few, very exciting months. 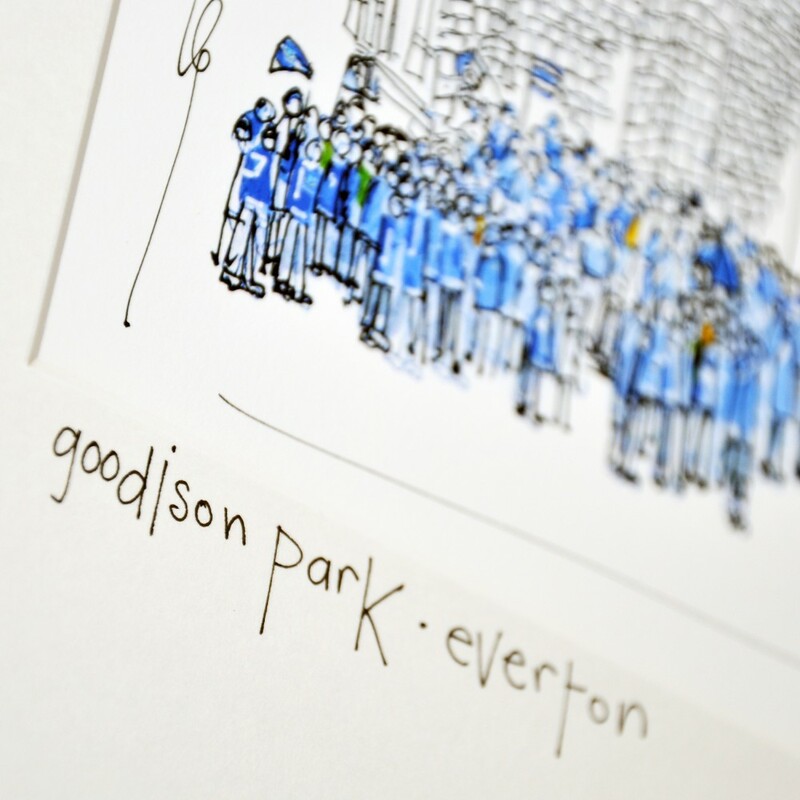 Local artist, Freida McKitrick has created some gorgeous scenes of Anfield and Goodison Park, which would make the perfect present for any big football fan in your life. 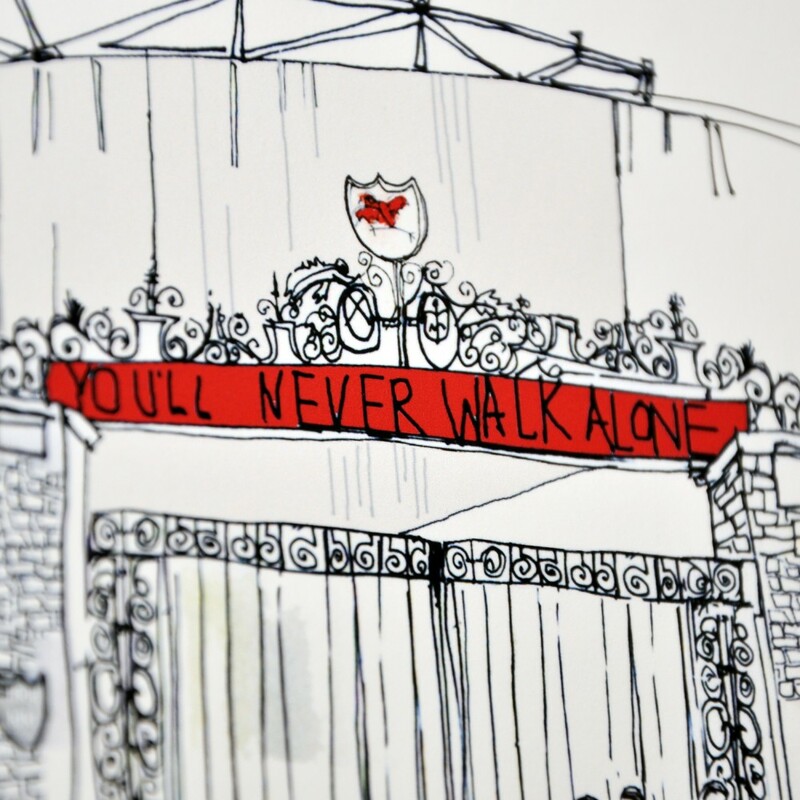 The perfect print to remind Liverpool fans that they’ll never walk alone. 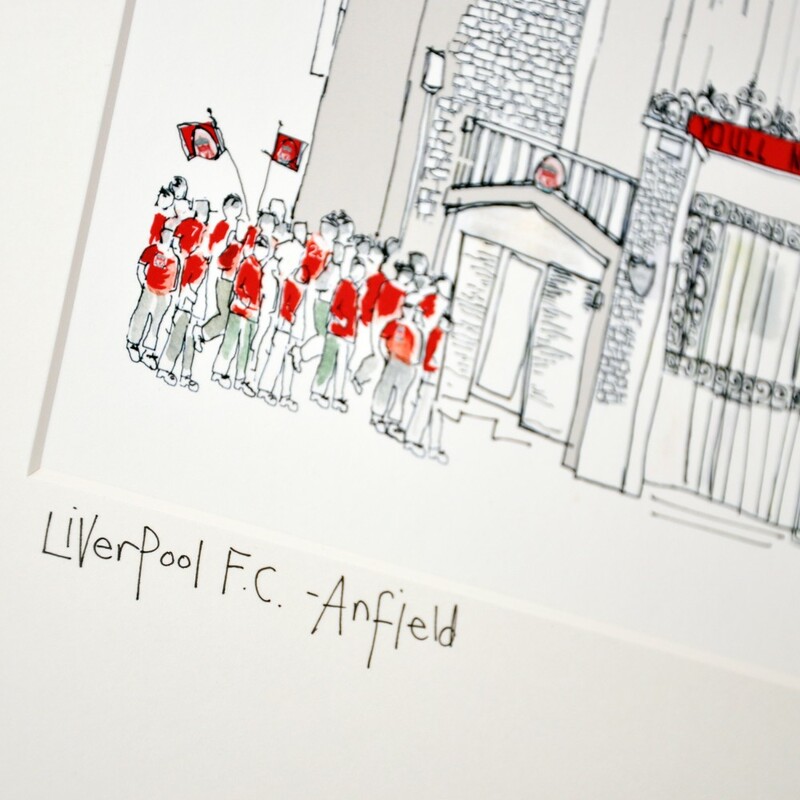 Find the LFC print here. This picture of the entrance to Goodison Park captures all the excitement of game day. You can get your picture of EFC here.